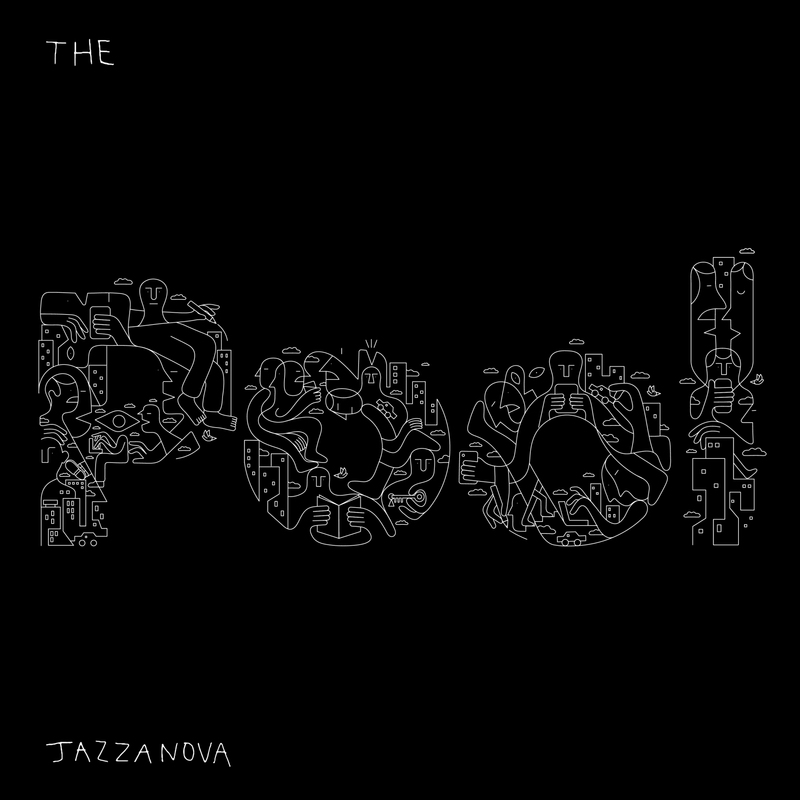 Jazzanova have just released its third album The Pool via their own label Sonar Kollektiv! The first album in a decade – that would probably be frightening for most artists. Not so for Jazzanova. The constant state of becoming is the DNA of this extraordinary ensemble. 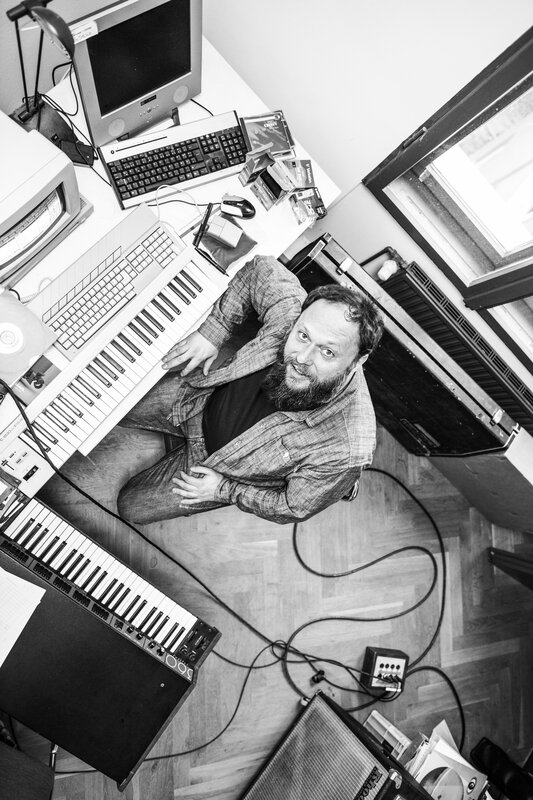 The Pool flows organically from one track to the next and mixes synthesized sounds, samples and acoustic instruments into a captivating complete work. Moreover, it has a large number of highly talented guest singers, including Jamie Cullum, Ben Westbeech, Pete Josef, Rachel Sermanni, Olivier St. Louis, Paul Randolph and Charlotte OC. All of them bring their very own, unmistakable influences, yet still retain a deep sense of Jazzanova’s musical identity – this unique combination of Neo-Soul, Jazz and Pop songwriting, combined with a special talent for sampling and instrumental skills from synth to piano, from vibraphone, trombone and flugelhorn to guitar. We spoke with Stefan Leisering about political statements in music, the sound of the album and what it takes to pull off a memorable live performance. You have released your last album Off All The Things in 2008. Fun fact, this was the year when Barack Obama was elected president of the United States of America which feels even longer ago with the current poltical situation in mind. What has changed for you as a band in this timeframe? That is indeed an interesting fact. My son was born in that year as well and it feels kind of weird that he still has not listened to a new Jazzanova album. Besides that, we started a pretty heavy touring schedule after finishing the last album. Since I was only tinkering and producing songs in a studio environment before, playing live has changed a lot for me and I had to adapt quite a lot. At the same time, it was a great experience to witness the vibe on stage and to connect with the people in front of you which is beyond comparison. Plus, we have founded new labels, opened a studio in which artists outside our group can also record music and made plenty of remixes. The specialisation of everyone has also continued to grow. The last ten years have passed by quite quickly! A distinctive feature of Jazzanova is the variety of fields of activity. They reach from hosting radio shows to production, playing live, DJ-Sets, label work and many more. How do you perceive yourself as Jazzanova? This might sound a little controversially at first but I think that there would get a lot of things lost in the shuffle if we decided every aspect in a democratic way. At least in our collective. Too many decicions would end up in rather unprofitable compromises. I think that everyone needs to decide the issues which they know best and be as independent as one can get. Ultimately, the DJ for instance is left on his own during the night and doesn’t ask anybody what songs he should play next. Since I am in the studio a lot, we often sit down together because I want to know what the others think and I’m interested in their opinion. But if we stepped on our feet too much, we would probably no longer exist in this form any more. Going back to the initial question and the connected political dimension, is it also important to you to make social or political statements, both in and outside the musical field? Yes and no. I grew up in the GDR and often find politics in combination with music exhausting, as it often has an instructive effect. When I look at my record collection, hardly any records are politically motivated. I have my own ideas and thoughts but I do find that one can express oneself on an emotional level. On The Pool we also have political statements through the rapper KPTN. I must admit, however, that they are not my first basic need. For me it’s more about reaching the basic emotions like love or hate that have been established for many years. You just mentioned the rapper KPTN. A special feature of The Pool is that each song features a different guest. How did you select the artists? We have already worked with some artists like Paul Randolph who also sings in our band but most of them are new. Since we had many guest singers on every album so far, one can probably call this a kind of tradition by now. Sometimes we thought about leaving some songs as instrumentals but you often meet singers or notice that someone like Jamie Cullum is available with whom we have wanted to work together for a long time. But I can also imagine making an album with only one or two singers in the future. The name The Pool is multilayered. 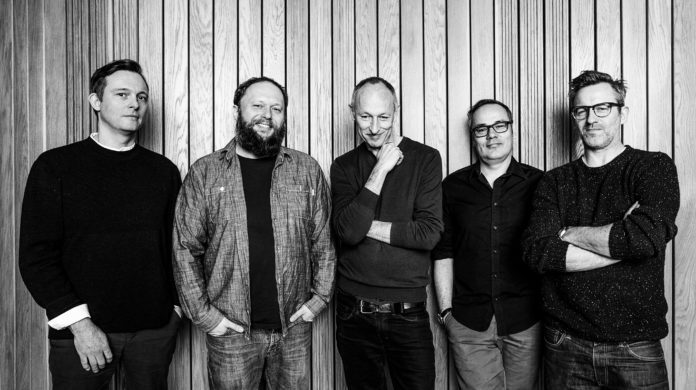 On the one hand, it can be understood as a refreshment, a new breeze in the Jazzanova universe. On the other hand, the name describes the different collaboration artists on the album. What was your intention? We took the name with pleasure because it allows a lot of room for reflection. But first and foremost we thought about ourselves and the things that come from within us, about the pool of ideas and thoughts. Of course you can also transfer the title to the musicians we featured. The pool also implies a kind of containment, something is collected somewhere and is finally let out. There is a lot to associate but funny enough nobody thought about the actual swimming pool. 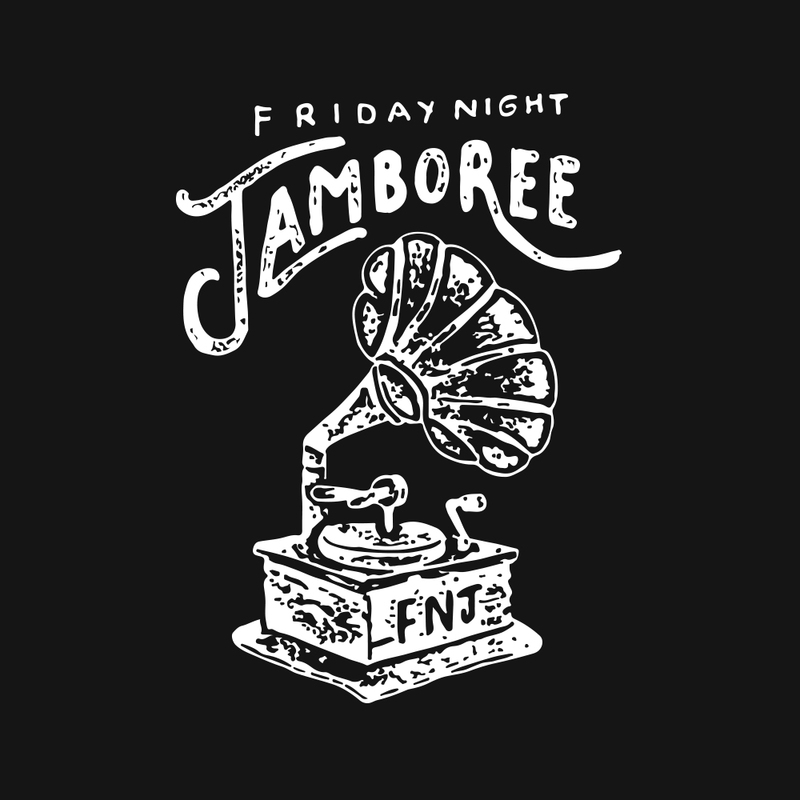 When you think of songs like the remixes for Amp Fiddler or Paul Randolph, the collaboration with Dixon and Âme from Innervisions or the label Compost, you associate club music directly. However, the album does not contain any of these trends but focuses on classical songwriting, a certain amount of pop as well as finesse and sophistication. Was it a conscious step to represent exactly this sound on The Pool? I would say that the three albums mark specific points in our career. After many remixes, the idea of the first album was to move away from a club-orientated sound to a more colourful approach with Hip Hop and Rn’B influences. I have the impression that there were also more collaborations at that time, people like Dixon or Âme have always looked beyond their own noses, for example into the Broken Beat scene. It is also important to us not only to be active in the New Jazz or any other scene, these are two different pairs of boots. I have never made music to belong to anything. We want to make a sound that can stand on its own. This is not to be understood as a boundary, we as well see what happens to the right and left of us but we want to capture the essence of what we like and what is important to us. How would you describe The Pool’s sound? With regard to the programming of the sounds and also the drums, there can abstract parallels to our first album are noticable. The second album’s main approach was the arrangements and we have now combined both aspects. It is also interesting that none of us has learned an instrument or classical music theory but we have taught the matter ourselves piece by piece over the last 20 years. This process also takes place in our albums and we let people participate in how we learn and try out new things. If you listen to the albums chronologically, I think that there is a development to be seen. When I listen to The Pool with some distance, the drums, percussions, basses and voices catch my eye. It’s a mixture that may not be as attractive and pleasing but I think it can be addictive. In addition, I can already listen to the album after a short time with fun which is a good sign. As we intensively worked on the songs, I mostly succeeded in advance only with some time interval in between. It seems logical that the songs on the album are especially crafted for playing live. What makes a successful live show for you? Which things are particularly important? That’s an interesting question. As Jazzanova we started making music in 1997 and it took us until the second album in 2008 to start playing live. It’s a bit like the difference between a film that is only staged and a theatre performance that only works live. Both examples have completely different rules. There are many studio musicians I appreciate very much but for my taste they are missing things in the live situation. So being on stage with a laptop was not really an option, we wanted to integrate live musicians. For the upcoming tours we want to do this in a slightly different way and bring the studio onto the stage by combining pre-produced electronic parts with live elements as a kind of hybrid performance. What state of mind do you want to bring the listeners into? I think you can follow our music emotionally, because we offer ballads, angry songs and also dreamy elements. We combine these things with a lot of rhythm and percussion, so that you get into a kind of trance state. It’s about dancing, creating highlights and sometimes it gets loud as well. It’s nice when you can touch the audience and it comes to an interaction from which you as a band also profit naturally. This creates beautiful moments and euphoria which is what you want to achieve in the end. It is said that every few years, you go through a change in your work. Will there still be fields in the future which you would like to try out? I think it’s important to regulate the output of a band not only by releasing another album after three years due to rules or routine, but only if you have something to say. Take your time. I have already thought a lot about new music and the direction in which we could go. The journey is the reward, you have to capture your moods and finally implement them so that as little as possible is forgotten. I make a lot of sketches on my mobile phone, if I listen to them again after a while and can do something with them, it is a good sign that it is relevant and has meaning whatsoever. What will happen in the immediate future? At the end of June, we will celebrate our record release party where many of our album artists will also be on stage. Afterwards, there will be a regular tour with Paul Randolph and Lemaitre. After the last albums, I always had a small drop in energy but I’m confident that this time it’s not like that. In any case, my son should not have to wait another 10 years for our next release.